The rain from the skies came pouring down this weekend, and most people looked up at the sky as if they had forgotten what rain looked like?! It was kind of funny, well I thought it was. 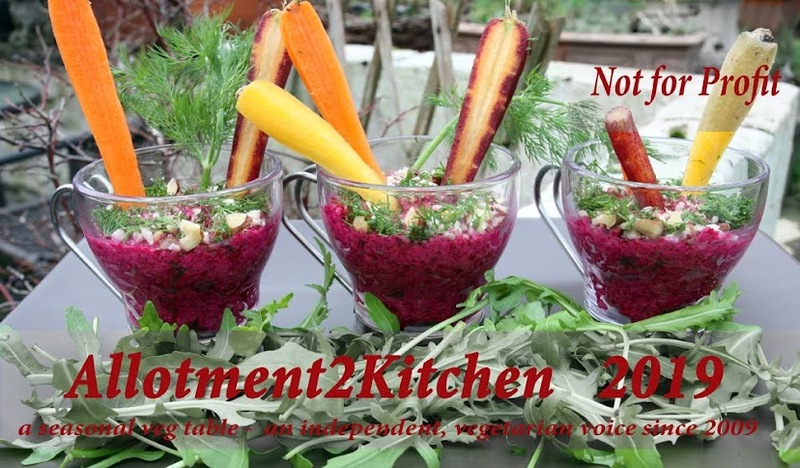 Anyway, here is a link to some of my homemade jams, chutneys and preserves. 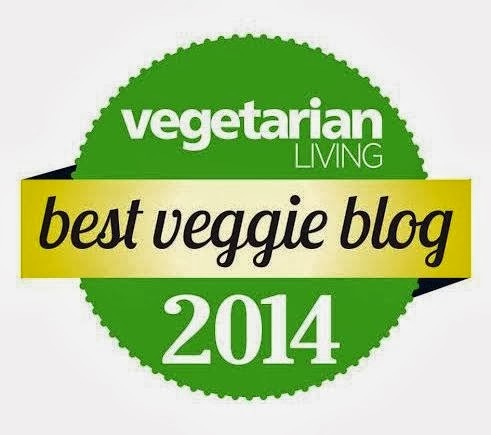 The reason I am sharing the link is to highlight how surprised I am at myself in that I have never blogged a Zucchini - Courgette Chutney recipe, considering its the one vegetable I grow every year. 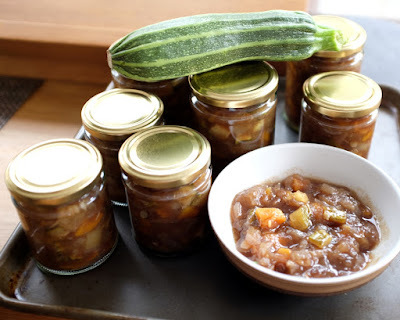 I have also bookmarked these from Pam Cobin Spicy Courgette Chutney and Courgette Jam. I would have made these too, but I am running out of jars. 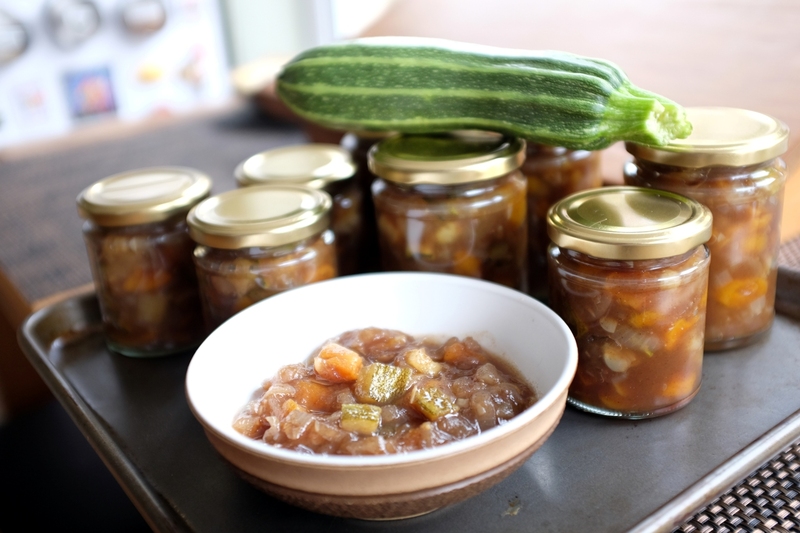 By the way, do you have a courgette chutney recipe to share? Put all the ingredients into a wide pan and stir until the sugar has dissolved. 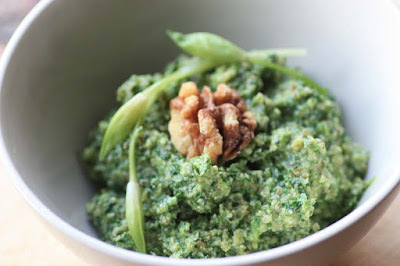 Then on a gentle simmer, cook for 45 minutes or until you have reached a chutney like consistency. Remember to stir now and again. Store for a few months before enjoying.